Me gusta cuando los pantalones están sueltos ..) ..
Les deseo a todos un buen día! mañana, el próximo fin de semana, le deseo todo el fin de semana genial! I like when the pants are loose ..) .. I wish you all a good day! tomorrow, next weekend, I wish you all the great weekend! Such fun pants, they look comfy too! I'm so impressed that you made the top! You look fabulous. 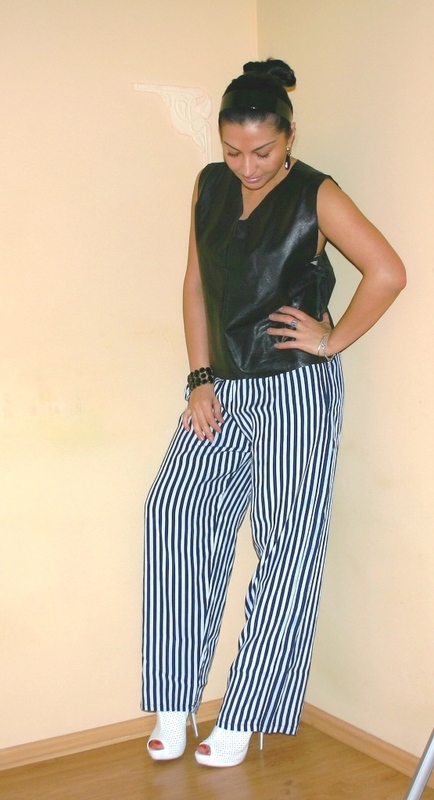 Adorei o look, a calça é linda. What a fab leather top! Love those pants! Very cool! The leather top is super!